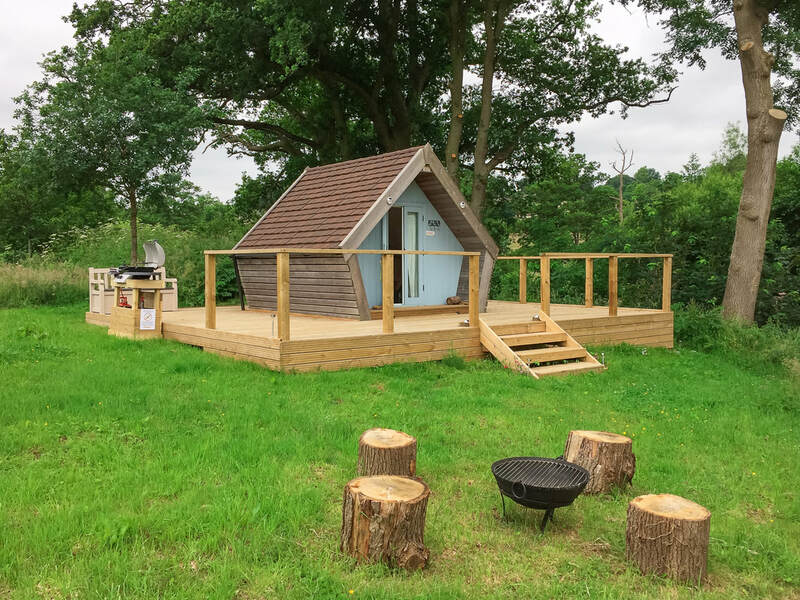 Some people love the idea of sleeping under the stars but need more ​home comforts than just a tent and a sleeping bag and there are lots of wonderful places that offer just that in the Cotswolds.. We have found 10 of the best places where you should be glamping this summer! 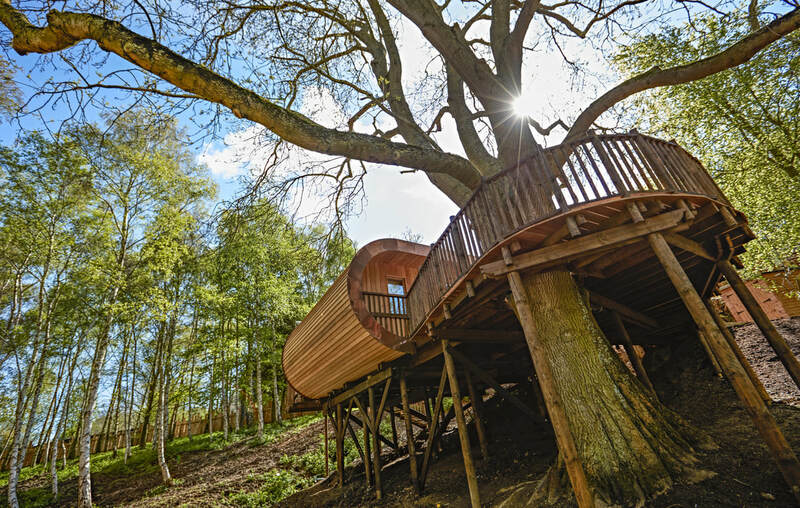 If you go down to the woods today at The Fish Hotel you will find three spectacular treehouses nestled in the woods. Each house can sleep either 4 adults (one double, bunks) or 2 adults and 2 children in separate bedrooms and include an ensuite bathroom with shower and bath, underfloor heating and two wooden bathtubs outside on the spacious decking area. 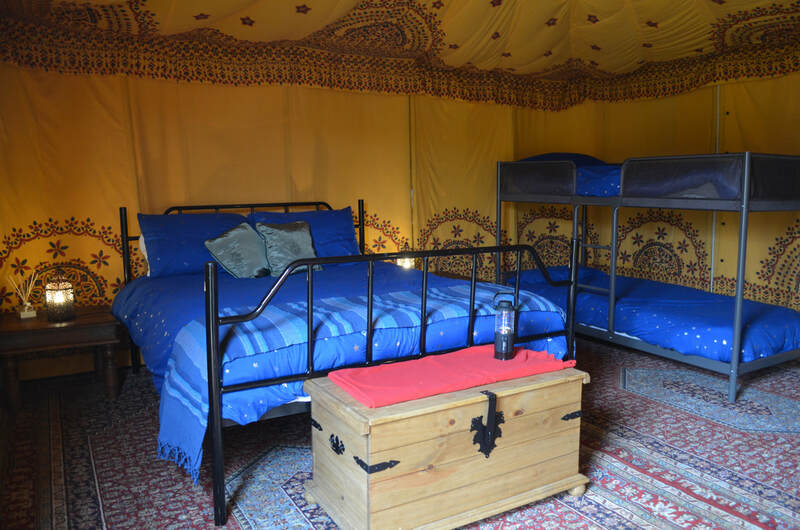 The Cotswold Farm Park campsite is just a stone's throw from the Farm Park and offers six Moroccan-themed glamping tents that include a king-sized double bed and a bunk bed making it perfect for a family getaway in the countryside. There is a communal kitchen for the glamping area, with crockery and cutlery and an on-site pizza delivery service too! 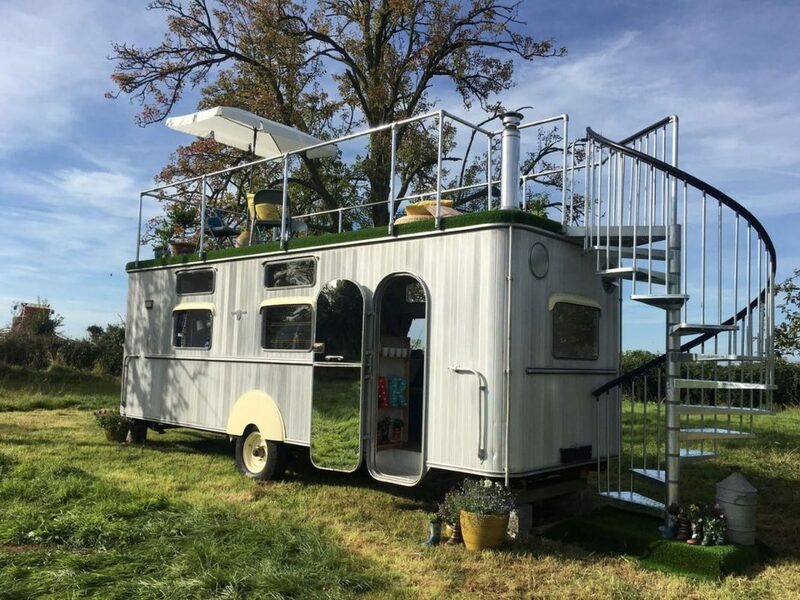 Situated in the Severn Vale on the edge of the Cotswolds, The Glamping Orchard offers Belle, a cosy Bell Tent, that can sleep up to 5 people, and this stunning 1950's Warwick Knight Caravan that you may have seen on George Clarke's Amazing Spaces. There is ample space for a family of 4 and a rooftop area to soak up some sunshine and take in the surrounding views. Nestled in the heart of a 400-acre farm, Evenlode Grounds offers six heated wigams just a couple of miles outside Stow on the Wold. Each pod sleeps up to 4 people and include everything you need for a rural escape. Two of the deluxe wigwams have a wood fired hot tub! 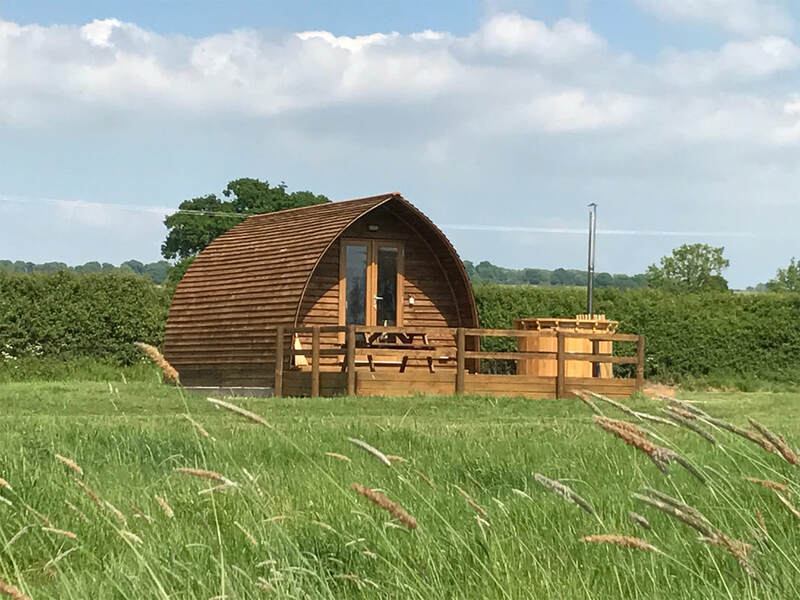 The Mill Pond Pod sits in its own exclusive spot on the edge of the ​​coarse fishing lake with 25 pegs available to campers. You are just a short walk to the beautiful wool town of Painswick, known as the Queen of the Cotswolds. Located a couple of miles outside of Chipping Campden, these two luxurious hand built micro houses create a truly amazing glamping experience. Both have large wood fired hot-tubs and a comfy double sleeping loft with views of the hill and woods behind. We return to The Fish Hotel as we couldn't resit their Hilly Huts that are nestled into the hillside with spectacular views across the Cotswolds countryside. Each hut was hand-crafted locally and have under floor heating, en suite bathrooms with shower and a lounge area with sofa and wood burner, as well as a complimentary mini bar and Nespresso coffee machine. Outside you will find a decked seating area, a log store, chiminea, boot box and your own private hot tub. 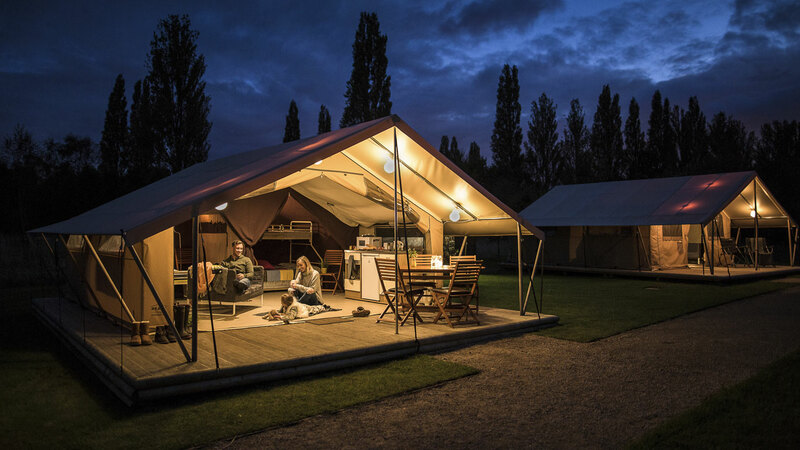 Located at Chipping Norton Camping and Caravanning Club, these glamping safari tents are perfect for family and friends looking to spend a night or two in the Cotswolds. There is also no need to pack the kitchen sink for you break as the tents are filled with all the home comforts including a double bed, triple Bunk bed, pull out bed, two seater settee, table and chairs, fridge, 2 Ring Hob, microwave, kettle, toaster, plates, dishes and lots more! 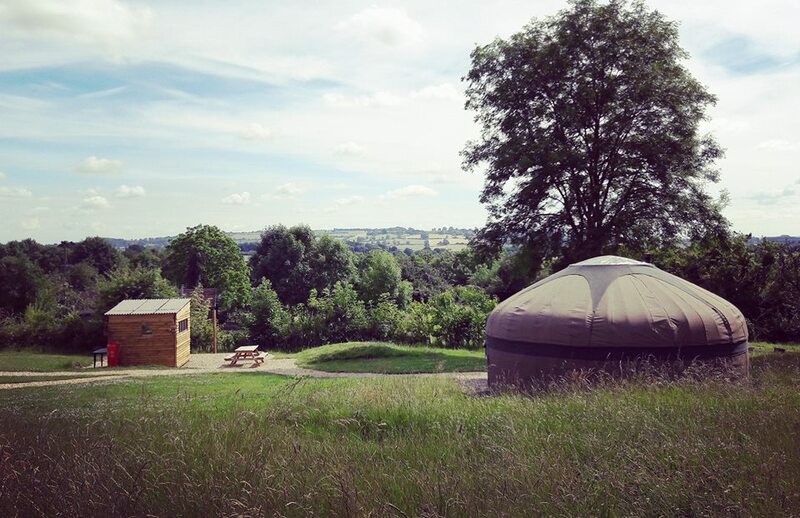 Based on the edge of Chipping Campden, Campden Yurts offers two 18-foot yurts that can sleep up to 4-6 people and equipped with a double bed, futons, a woodburning stove and a two ring gas cooker. You are provided with all the essentials that you need and have your own bathroom with shower, basin and flushing toilet. Spend your evenings around the campfire with a BBQ or just enjoying a G&T under the stars! These wonderful new luxury hand-crafted huts are nestled into the woodland at The Fish Hotel and are available from 6th July 2018. 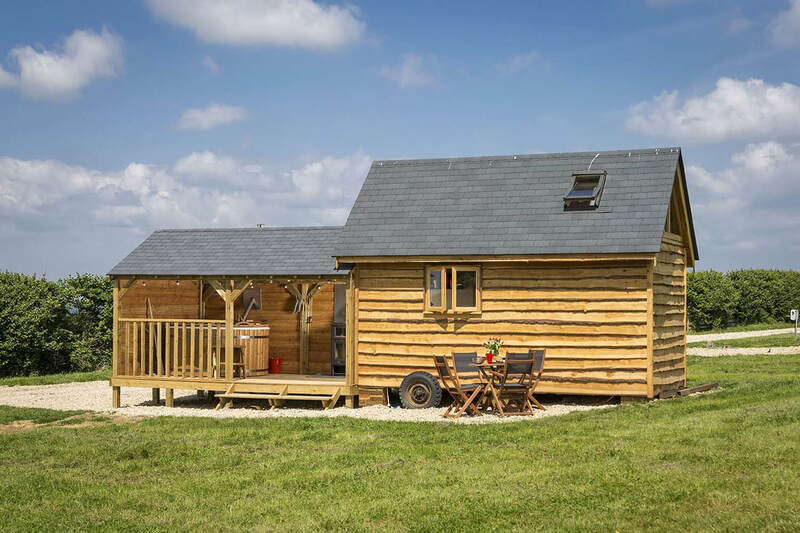 Each has central heating throughout, a bedroom with double bed and roll top bath, as well as separate en-suite bathroom with shower and a wood burner making them perfect all year round. Outside you will find a decking area with outdoor bath that holds two adults which has a built-in wood stove as well as seating, chiminea, log store and boot box​.